If you are wracking your brains to choose a gift for your BFF other than usual flower bunches, a soft toy, cosmetcis or fragrances for upcoming Friendship Day, an exclusive goodie box of personal care products can be an ideal choice; coz anyone and everyone wants to look and feel their absolutely best always. On Friendship Day, we all use this opportunity to tell our friends how much we love and care for them. 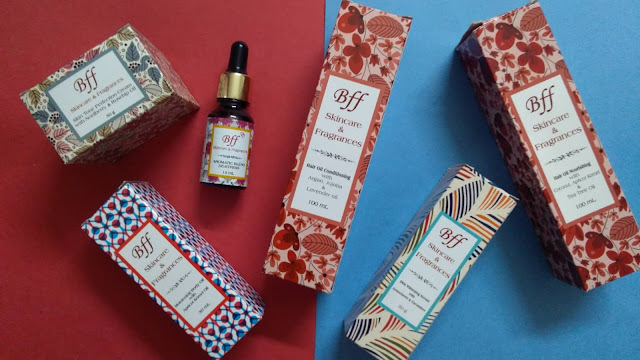 And like always, I've decided to find some gifts of utility for my bestie and curated a thoughtful combo of Rejuvenating products to soothe her stress with sensuous combo from a premium skincare brand Bff. 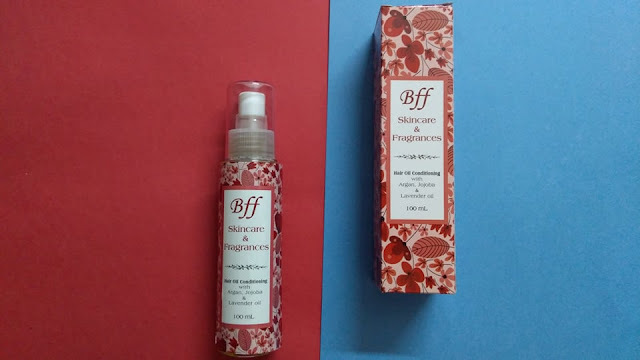 Bff (Girl's Best Friend Forever) is a premium brand of quality skin care products like Creams, Serums, Lotions, Body oils, Body care, Hair care, Facial Kit and Fragrances. Sourced in synergy with nature from the foothills of Shivalik in the Doon valley, Bff products have re-fashioned skincare. The brand has set a new trend by offering skincare products based on home based recipes made from plant derived ingredients (Extracts, Oils, Fragrances etc). The brand aims to help you with good natural nutrition for your body, skin and hair and to choose a greener lifestyle. A truly natural range of personal care products enriched with SUPERFOODS, made with rich creamy butters blended with natural floral fragrances is truly amazing. And keeping in mind your skin to be beautiful forever, the brand uses no synthetic chemicals for everlasting beauty. Facial serums trend is picking up these days as more n more people are getting aware of it's efficacy. Serums nourish the inner layer of the skin by penetrating active ingredients superbly well into skin. Bff Skin whitening Serum is formulated with Sweet Almond Oil, Vegetable Glycerine, Shea Butter, Vitamin E Acetate, Cucumber, Gooseberry and Fragrance. A gentle massage on face before bed can help the skin repair itself overnight with it's powerful ingredients and brightens n tones the skin if applied regularly. It's not heavy on skin and you may gift it to someone who has normal to oily skin type. Be advised that it's not a substitute for the intense moisturizer that dry skin would need. This cream made of Sweet Almond Oil, Vegetable Glycerine, Shea Butter, Vitamin E Acetate, Noni Berry and Rosehip Oil is an effective treatment for achieveing even skin tone and glowing skin. It's a moderately viscose cream that sinks in the skin only after a few light strokes. Though the cream doesn't smell pleasant, but gives a dose of nourishment to dry parched skin due to Vitamins, Minerals, Essential Fatty acids & Anti-oxidants that it contains. Once absorbed well, it doesn't feel greasy. I usually add 2-3 drops of my fav essential oil to it to make my skin smell great. Best suited for dry skin. For someone who is keen to take their normal skincare regimen ahead of traditional body lotions, a natural blend of body oils is perfect alternative. I'm deeply and madly in love with massage oils and enjoy their benefits that go beyond improving the skin appearance and relieve my stressed mind. 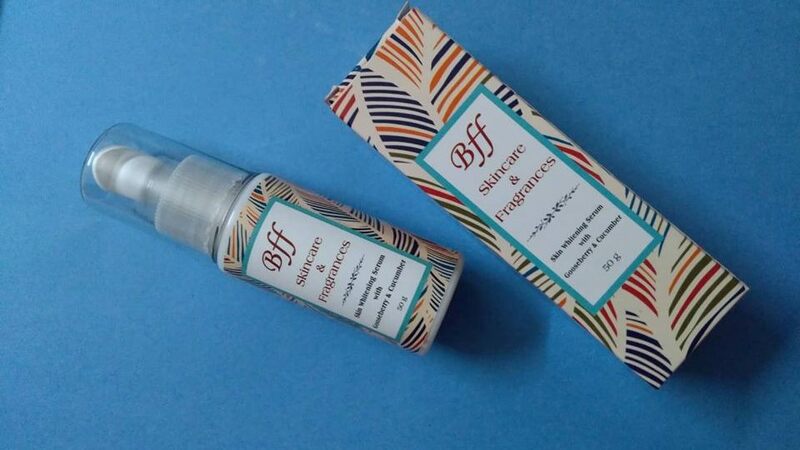 The Bff moisturizing oil is an infusion of Jojoba Oil, Apricot kernel Oil, Sweet Almond Oil that is boon for dry skinned people. It can be applied on dry skin, but the damp skin responds better to a body oil for optimal results. While the body oils need a few minutes of precious time of yours for the massage; a quicker way to relax the mind, renew the body and revive the soul is to apply a few drops of a delightful blend of serene oils on your pulse points. A topical application of this blend of Jasmine & Sweet Basil oils at your temples, wrists, or the back of your neck takes away your stress, anxiety, and tension thereby calming you down instantly and creating an overall sense of well-being. I'm sure you have a bunch of friends who are believers in aroma therapy and would thank you if you surprise them with such gifts. 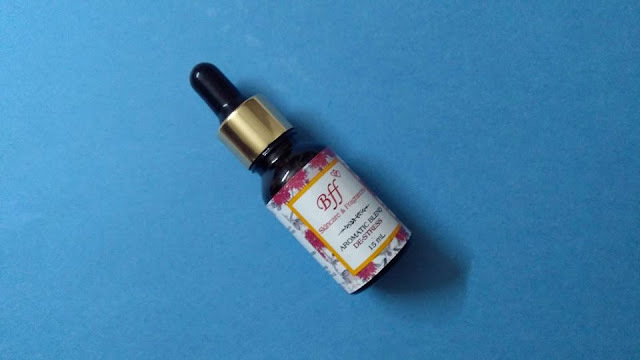 Packed with all essential vitamins, proteins and minerals, BFF conditioning hair oil is a trusted product one can use for improving blood circulation and hair growth. This conditioning treatment uses the essence of argan oil, jojoba oil & lavender oil for nourishing and strengthening hair. This oil fights all problems related to hair like split ends, hair fall, fizz and other damages without stickiness. Make your Rapulzel friend smile ear to ear who is obsessed with her tresses. 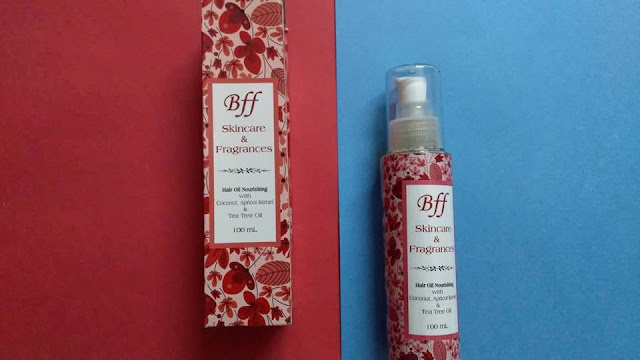 Bff nourishing hair oil is a unique and effective blend of apricot kernel oil, coconut oil & tea tree oil that helps to cure dandruff and itchiness of scalp while promoting hair growth, shine and strength. This hair oil has lovely fragrance and rejuvenating after effects. What if your friend has short hair, a nourishing formula is all what she needs for healthy hair. 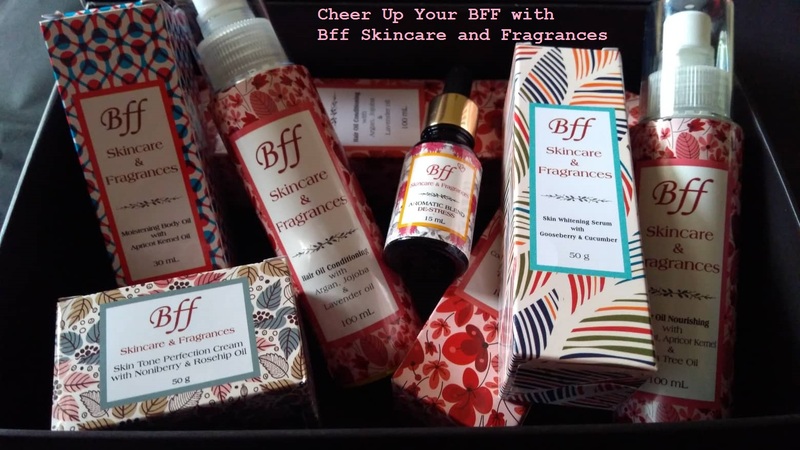 Why Bff Skincare & Fragrances make best gift? It's an out-of-the-box gifting option away from mundane gifts like chocolates, cards, stationary, flowers etc. The product ingredients are sourced from nature and have no hazardous consequences. So it's a perfect token of love for your friend for whom you care. The packaging is really appealing with colourful floral prints on the outer cartons and containers that need no extra gift wraps. Customization of products is possible depending on the skin and hair type that your friend would surely cherish using. Pricing is reasonably affordable for such premium quality products that come in sufficient pack sizes. The products can be equally effective for your male or female friends, so you may gift without worries of gender-specific products selection. Online availability makes it easier for you to get the gift box delivered at your friend's doorstep when you can't make it to greet in person. Hope your gifting woes are sorted. So go ahead sending your loving good wishes to your dost. 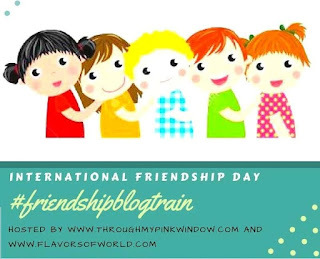 This post is a part of #FriendshipBlogTrain hosted by flavorsofworld.com and throughmypinkwindow.com. Read 20 awesome articles by the popular bloggers of India. So come and join us to celebrate the most beautiful bonding-Friendship. 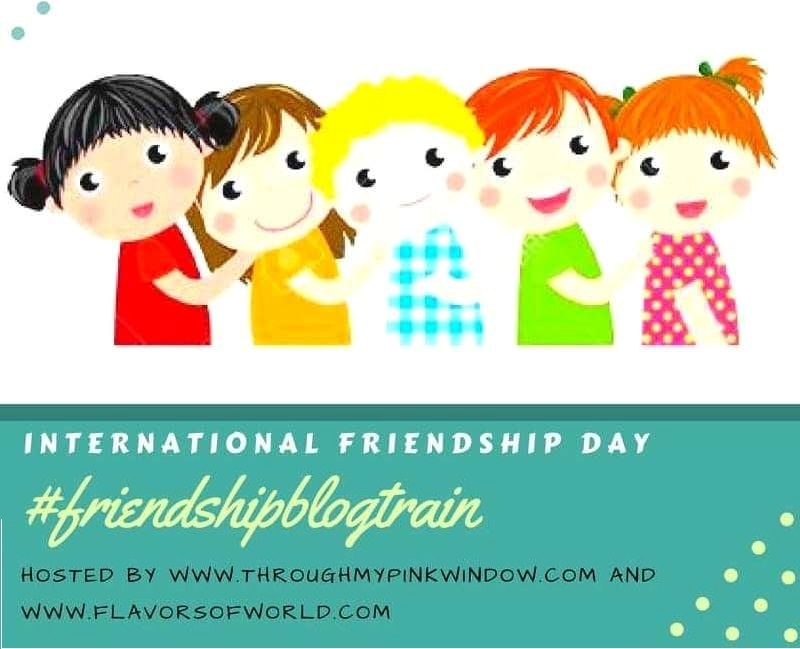 I thank my fellow blogger Kapila who writes at everylittlethinghappiness.com for introducing me to this amazing blog train. Now I would like to introduce yet another blogger Priyal to take you to next station at parilifestyle.com. Now thats a very thoughtful gift to a friend. The box that you have curated has some really useful products, particularly the destress blend is the one anyone will require in today's world. 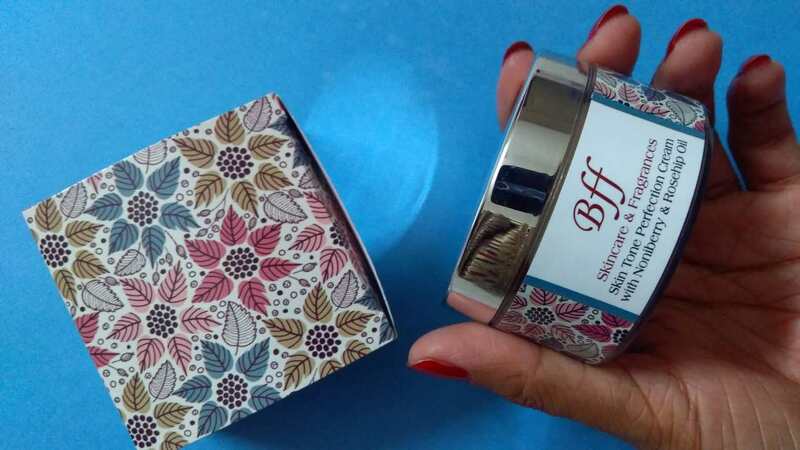 These BFF skin products are really amazing, I personally using their face scrubber of coffee beans. Oh. Wow.. I like that name.i have heard so many great things about it. Thanks for the review. Will defiadefin give this a try. These skin care products are really promising .I am using their hair oil and night cream, and love them. These products seems good , specially De stress oil as that would help to destress . Wow.. I love the detailed revure. I am looking forward to give it a try speaciall the skin tone perfection serum. It is an innovative idea for gifting to friends. Producta also look good. 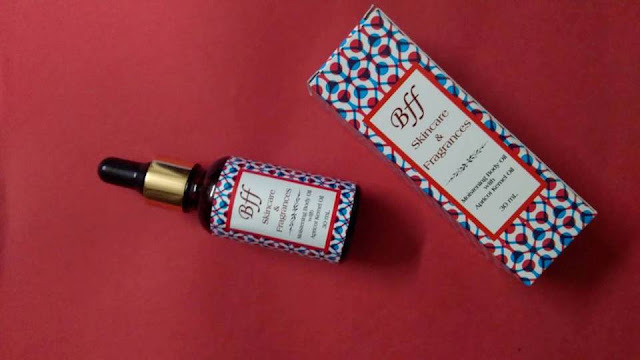 The BFF Destress Aromatic Blend is just what I need. I love what you've curated with the brand. Perfect to gift the bestie! Perfect gift for friendship day. I am sure it will bring a smile on my friend's face. BFF very interesting brand!! Will surely try these products. Good Read. I heard a lot about BFF skin care but never tried its products, after reading this really wish to get this in my hands. Heard a lot about this brand and these Products looks promising . Would love to gift these to my best friend . The Products are looking really promising. I haven't tried any product from the brand yet. But would love to try out the hair oil.